Having been cut-off from foreign visitors for much of the twentieth century, Vis has been almost perfectly preserved. Its picturesque sea-front towns, hidden beaches, azure waters have to be seen to be believed. 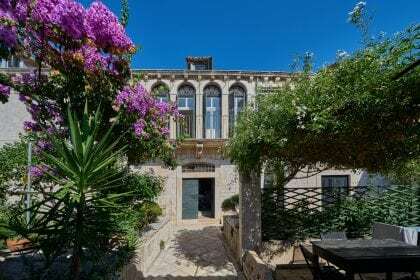 Having been shut off from foreign visitors for the majority of the twentieth century, Vis has retained a wonderfully authentic Dalmatian island feel. You’d be forgiven for thinking you were in Greece, so much so that the island was chosen to be home to Mamma Mia 2: Here We Go Again, and for good reason – quiet island life, friendly locals, deliciously fresh food and buzzy little bars. Vis is as much of a must see as the film. Deliciously fresh sea food, straight from the fisherman's boat, and fresh, local food as authentic as the island itself. Crystal clear, glistening waters lap gently against the shore, and there are ample spots for swimming directly off the water-side paths straight in to the warm seas. The two main areas of Vis on its North East coast are Vis Town and Kut. Vis Town is the busier of the two, with many bars and restaurants, the main marina, a sweet chapel, the main ferry port and plenty to see and do. 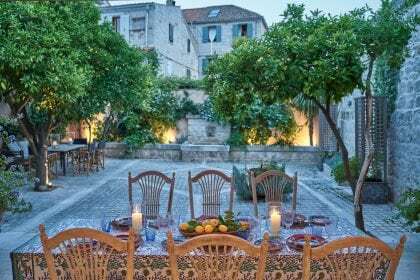 Gentle nightlife, buzzy bars and wonderful little hidden spots, enjoy a long, relaxed dinner at one of many wonderful restaurants before heading in to Vis Town for an after dinner drink. For those that feel a little more adventurous, its easy to arrange a boat over to neighbouring Hvar, to experience the glitz and glamour and epic nightlife scene this island is famous for. You simply must explore the area by boat once here – it would be crazy not to! There a delightful little beaches scattered around, and from the harbour you can catch a boat to the neighbouring island of Bisevo to visit the beautiful Blue Caves. Being right on the water. Hire a boat with a skipper and explore to your heart's content, dropping anchor for a swim in the crystal clear waters, enjoying lunch on the deck, and discovering gorgeous secluded coves that feel as though you're the first person in the world to find them..
Why, the whole cast of Mamma Mia 2 of course! And we can see why.. the relaxed, Mediterranean feel of this lesser known Dalmatian island is the perfect combination of Croatian culture and Greek beauty.